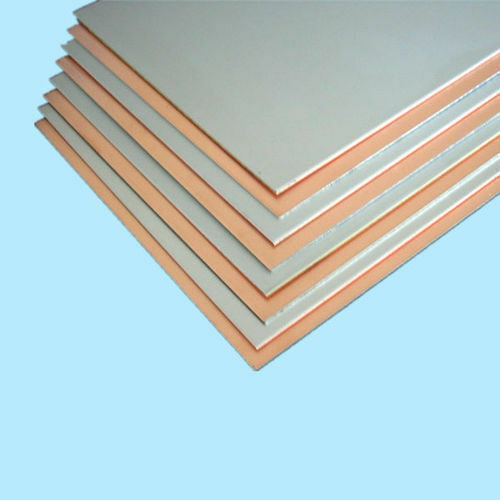 We are offering Copper Bimetallic Sheets to our client. Since our inception in the year 1987, we, Sidhartha Metal Company, are known to finest Manufacturer, Exporter, Trader, and Importer of a commendable range of Copper and Brass Products. Manufacturing of the range is done utilizing the finest raw materials and modern machines, abiding by the norms and guidelines of the industry. Owing to this, the offered range’s superior sturdiness, durability, resistance to corrosion and dimensional accuracy, is widely praised. In addition to this, we provide this commendable range to our clients at the most reasonable rate possible. Also, we are exporting our products all around the world. The highly futuristic state-of-the-art infrastructure at Sidhartha Metal Company is known to facilitate a number of the firm’s predefined goals and objectives, using the sophisticated machinery and equipment present. For reasons of attaining effective and efficient management of the firm’s operations, we have parted the facility into several highly operational units. The facility upgraded on a regular basis, help us in maximizing our reach in the market and boost our productivity. Further, our abidance of work ethics, have helped us in the generation of a huge and highly reputed client base.